A documentary film produced by top personnel in the Chinese military says that the United States has for decades been attempting to subvert China and bring down the Communist Party. The chief producers of the film, which was made in June, are two senior generals of the People’s Liberation Army (PLA): Liu Yazhou, a general and the political commissar of the PLA’s National Defense University, and Wang Xibin, also a general. Many of the views in the documentary are not new inside the hawkish ideological factions of the Chinese military; but it is unusual for them to be presented in such a public manner. Analysts said that leftist forces in the Chinese military may be attempting to put pressure on the Communist Party leadership, to have it adopt more hard-line policies, or to send a warning signal to liberal intellectuals inside China who wish to see the Communist Party play less of a central role in Chinese economic and political life. The documentary argues that after the collapse of the Soviet Union, it was China that fell into the United State’s crosshairs. 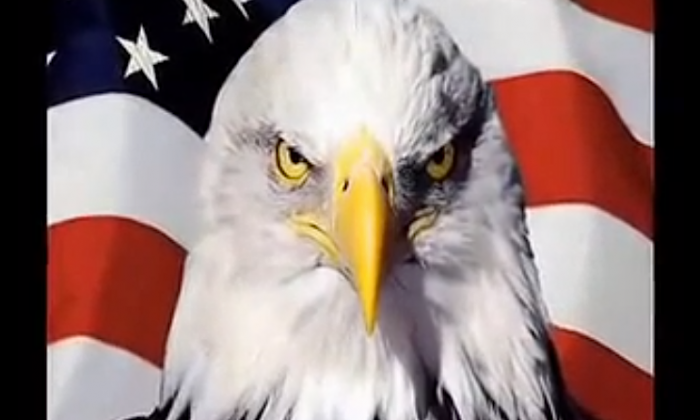 A grim-faced eagle stares into the camera. In this view, even United States attempts to engage with China have the underhanded purpose of trying to undo the rule of the Chinese Communist Party, something that U.S. policymakers deny. In the United States, this was taken to mean that Clinton was adopting policies that avoided confrontation with China. The documentary, however, takes them as damning evidence of the underhanded U.S. plot. “The people that produced this documentary are the most representative of the orthodox communist ideology in the Party,” said Shi Cangshan, an independent analyst of Party affairs based in Washington, D.C. He noted that similar noises had been made in the 1980s during the Anti-Spiritual Pollution Campaign, another leftist reaction to the forces of economic modernization. “I don’t think these views are too representative of those of the central leadership, but more the people in the military.” Shi said that they may have deliberately leaked the video in order to publicly pressure the leadership, and at the same time put some of the more well-known liberal voices in China on notice. The documentary names certain newspapers, such as the Southern Metropolis Daily, and individuals, like He Weifang, as being tools for hostile Western forces. This, Shi said, indicates that it may have been more about domestic, rather than foreign, propaganda. The National Defense University does not appear to have its own website, so it was not possible to contact it to verify whether it indeed produced the documentary. The interviews with senior military personnel, which had not been previously public, and the official narration, however, left little doubt of its origins. Many of the inhabitants of China’s online world were not impressed with the arguments floated in the film, or the style of its delivery.